Happy 1st day of Spring?! The weather has been playing with my emotions, one minute it's hot, then the next it's cold! To prove my point, I wore the same burgundy jeans from last week (seen here) but this time I had to bundle up for the winds. 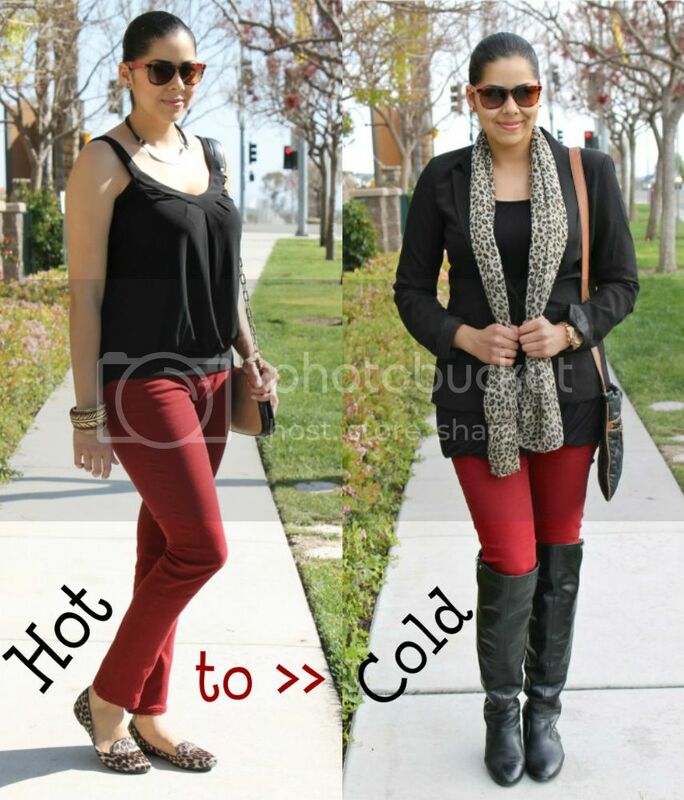 Here is how I wore burgundy jeans in hot weather and then in cold weather and added a touch of leopard to both. Hope you are all enjoying your week! 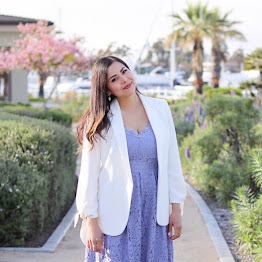 Great looks for both HOT and COLD weather. That sure would help right now with our crazy Arizona Weather! Most of the time I don't even know what to wear. I know what you mean! The weather has been ridiculous, but those burgundy pants are so awesome! Very Beautiful transition from HOT to COLD!!! I am loving that Tory Burch Cross Body Bag!!! I love the shoes so pretty and I feel the same way as you do one minute its warm then cold so its hard to pick a look in the middle of spring to keep warm. Great post! I love the cold verison a lot!! Thanks for your comment! Great look and I love how you did that ''Hot to Cold''. Great transition outfit doll and you're rocking both looks beautifully. Way cute! Love the scarf addition! great outfits! love both the hot and cold looks!!! the color of the pants is gorgeous! Enter for a chance to win a Threadsence Gift Certificate! Ame locamente esa bufanda!!! Esta divinaaaaa super chic! !